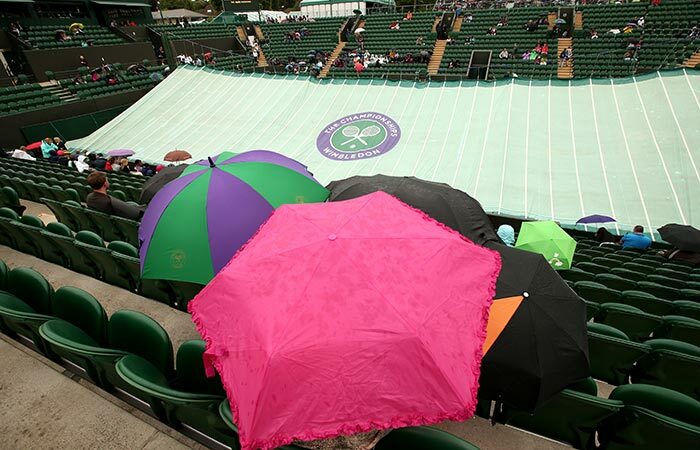 Spectators shelter under umbrellas whenever rain comes at Wimbledon. And it comes often! But these umbrellas are not just the routine ones! They bring the rain to life by infusing hundreds of different colours in the sky above them. 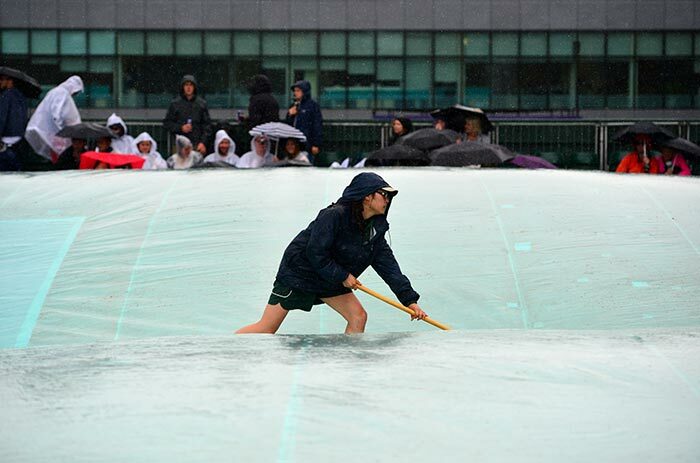 You can see covers protecting the grass when there's rain and that's beautiful. But the view from above is just breathtaking! 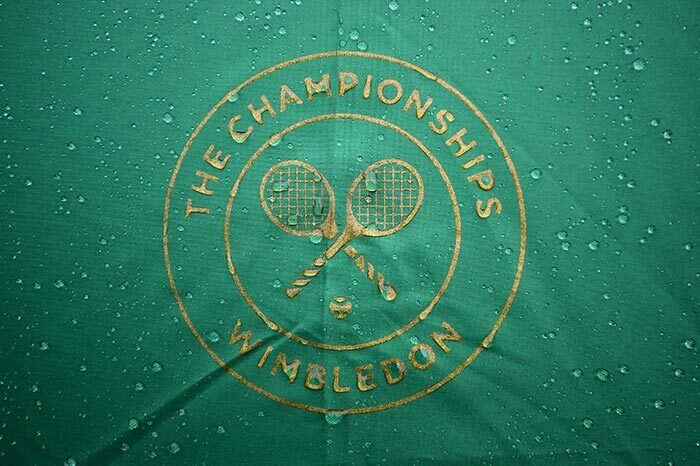 The white colour is the most distinct feature of Wimbledon. 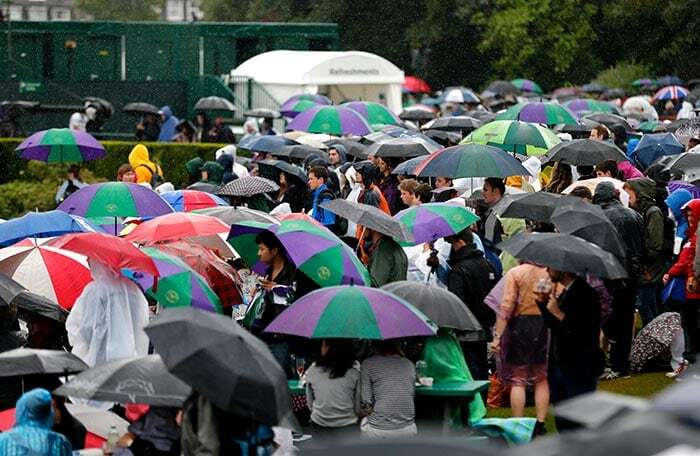 And here it is caught in an even better light as spectators squeeze themselves in under the umbrellas and share memories of their time on court watching the greats play. 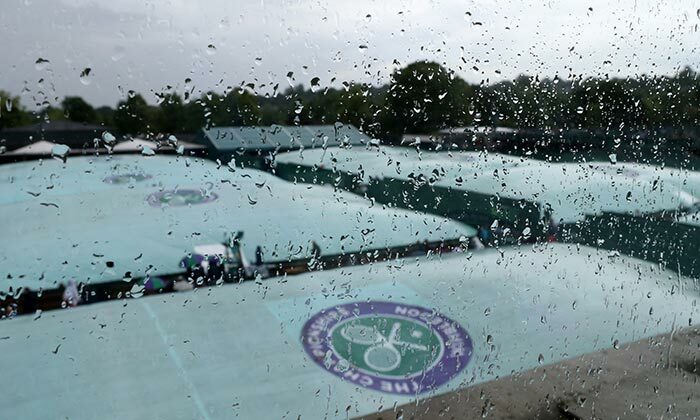 It might not be raining like it usually does at the All England Club in this picture but you can always feel the rain is just around when you look at the sky in Wimbledon. Priceless! 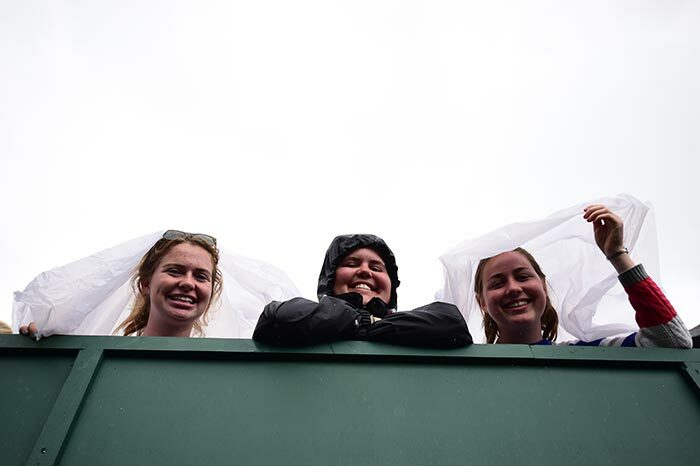 Occasionally, there's time for love at Wimbledon. You don't need words to express it. It's something that comes from above! 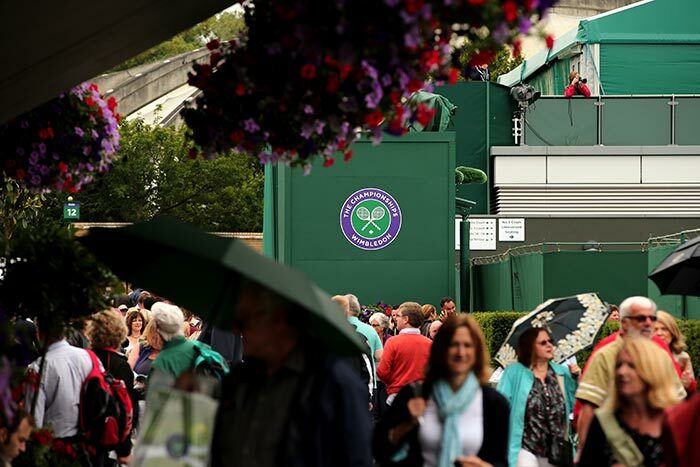 The Wimbledon love affair continues when you have a look at the outside courts. 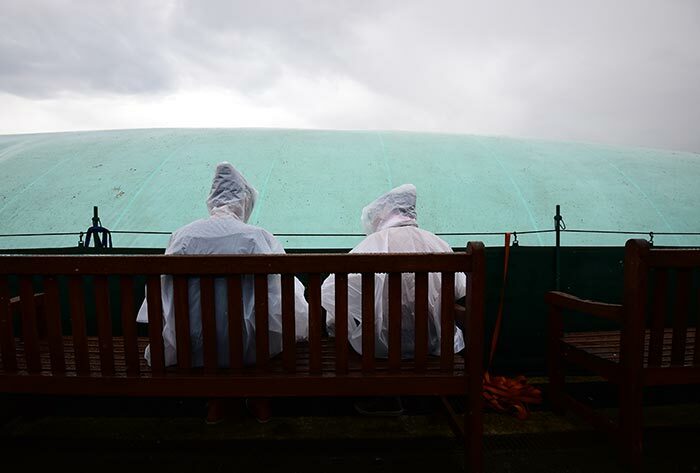 They might not be very beautiful in the opinion of some people as compared to the Centre Court, but each court at the All England Club has a charm of its own! 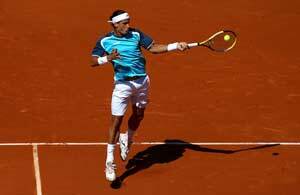 When you see water rushing to the ground at Wimbledon, the heart skips a beat and you never want to miss a single moment! These ladies look like white brides? Don't they? 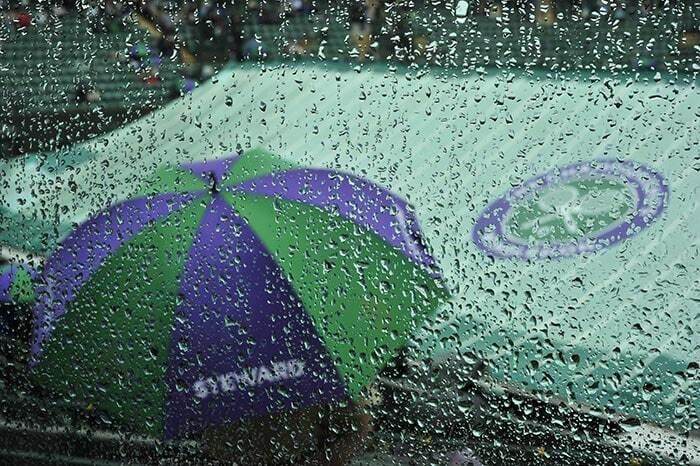 The boy laughs on...He isn't getting to watch tennis but the view of rain is not short of a spectacle in itself. How can we forget the hard working ballboys? This one seems to be in no mood to take it easy. He wants to ensure his job is done well. 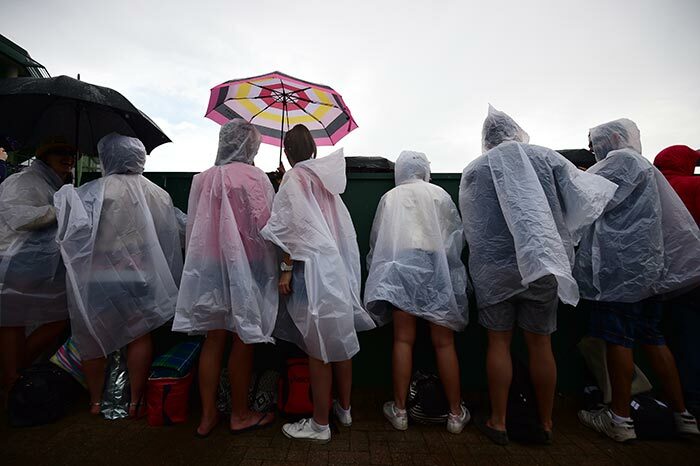 At Wimbledon, you can never count out beauty. And never stop getting charmed! Never!